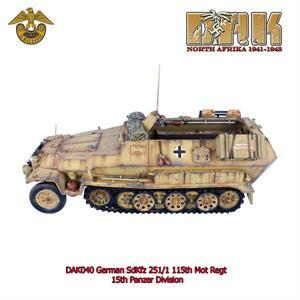 First Legion is pleased to present the latest vehicle for our DAK figure range, the SdKfz 251/1 of the 115th Motorized Regiment, 15th Panzer Division! 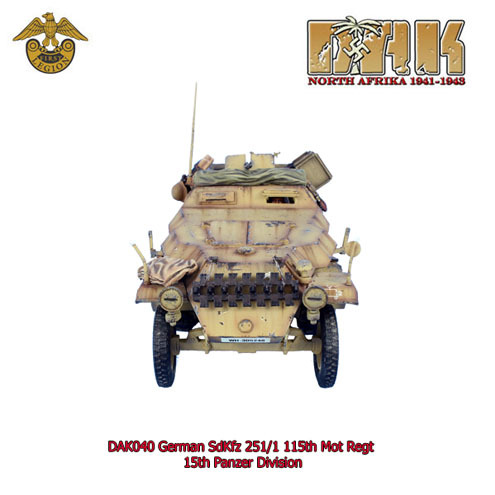 This incredibly detailed vehicle adds to your display options for the 15th Panzer Division particularly when coupled with set DAK038/DAK039 and our various DAK Reconaissance vehicles. 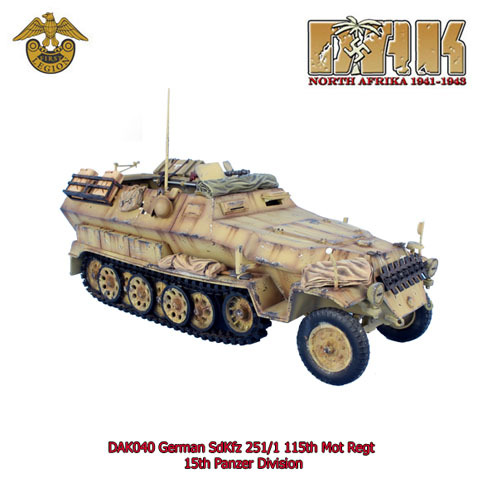 These vehicles are truly of superlative quality and are much more hand crafted and hand modelled than they are a simplistic "toy soldier" vehicle. 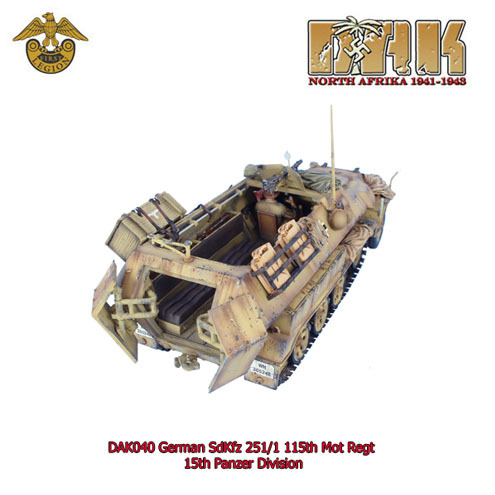 With so many fantastic display options, this vehicle will make a wonderful addition to any serious WWII toy soldier collection! 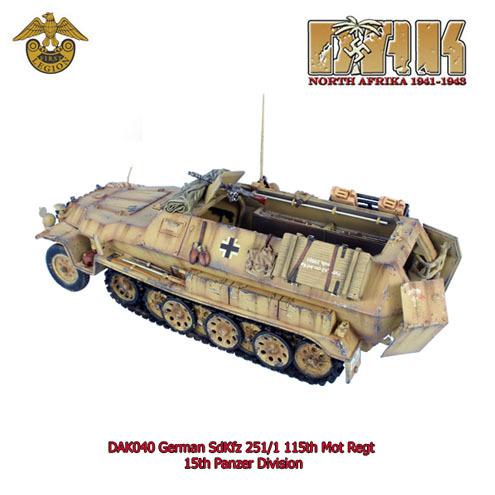 With so many display options, accessories, and a wide selection of figures to complement the vehicle, this model will make a wonderful addition to your DAK dioramas!